Iran’s president has called for closer cooperation among Middle East countries in order to foster unity and establish stability in the region in the face of US plots. Hassan Rouhani made the comment in a phone call with Iraqi Prime Minister Adel Abdul Mahdi on Tuesday. Rouhani took a swipe at US President Donald Trump’s decision to recognize the Israeli regime’s sovereignty over the Golan Heights. “The Zionist regime [of Israel]’s excessive demands as well as Washington’s inappropriate decisions make it all the more necessary for regional countries to work together more closely,” the Iranian president noted. “Worrying comments concerning the violation of Palestinian and Syrian nations’ rights, especially with regards to the Golan Heights, pose a serious danger to, and raise concerns about regional security,” said the president. “I hope the promotion of regional cooperation will create a situation where we will no longer witness any new tension and instability in the region,” he said. Rouhani also described Iran-Iraq relations as strategic, historic and very important. 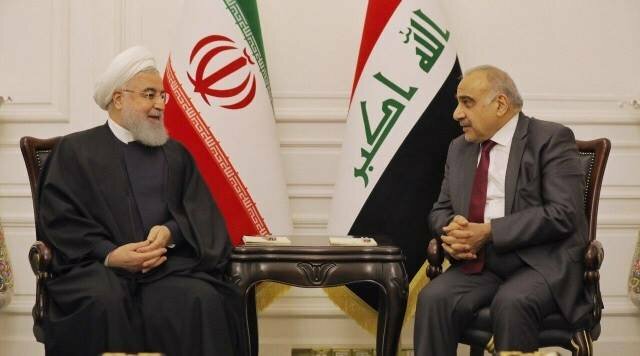 “The further deepening and enhancement of ties between Tehran and Baghdad, which are exemplary at the moment, will be in the interest of both Iranian and Iraqi nations, and will not be detrimental to any country in the region,” said Rouhani. “Iran is fully prepared to immediately implement the very significant and historic agreements reached during this trip (President Rouhani’s recent trip to Iraq), which can lead to a leap forward in relations between the two countries,” President Rouhani noted. He also stressed the need for dredging the Arvand Rud (also known as Shatt al-Arab). Elsewhere in his remarks, Rouhani stressed the importance of closer cooperation among Middle East countries. “I won’t be possible to establish stability in the region unless all major regional countries stand side by side, so that differences will be resolved and we will see unity, stability and mutual cooperation among the countries in the region,” he said. He also invited the Iraqi premier to pay an official visit to Iran. The Iraqi prime minister, in turn, expressed congratulations to President Rouhani on the arrival of Nowruz (the holiday period marking the beginning of the Persian New Year). At the same time, he expressed condolences over the deaths of a number of Iranian people in the recent flooding which has affected most parts of Iran. He also stressed the need for further enhancement of bilateral and regional cooperation. He said the potentialities of all regional countries should be utilized to settle the existing problems.